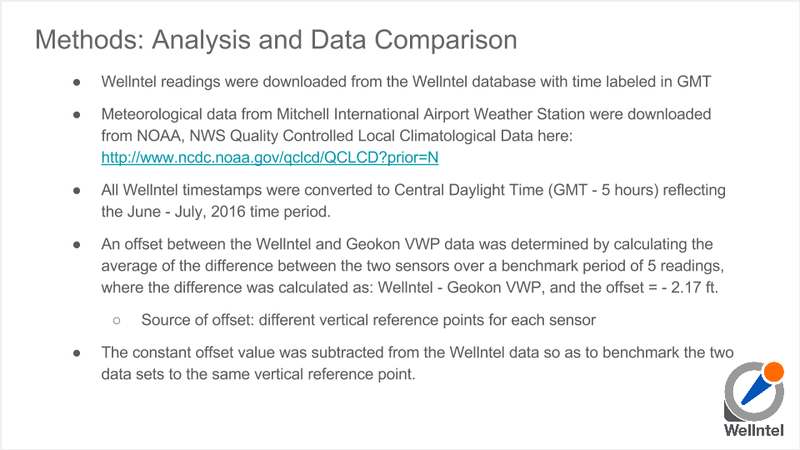 Posted August 11, 2016 & filed under Blog, Technical Bulletins. 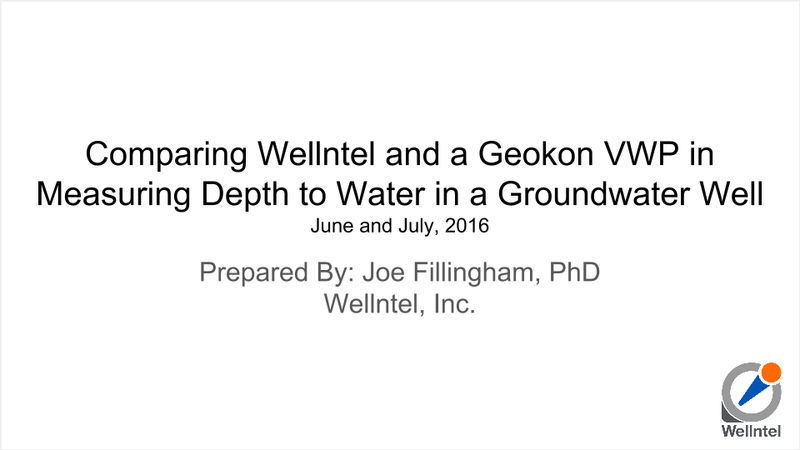 Groundwater professionals, stakeholders and the science-minded are keen to take advantage of the massive scientific, social and economic benefits of Wellntel, but understandably, they need to know how Wellntel compares in terms of accuracy, performance and cost, compared with technologies that they currently use to measure groundwater levels. 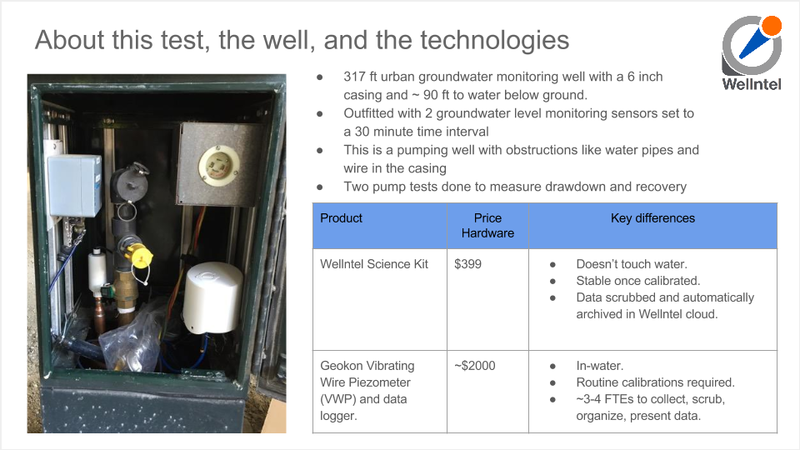 So in test sites all over the US, Wellntel is being compared to pressure transducers, piezometers and level loggers. 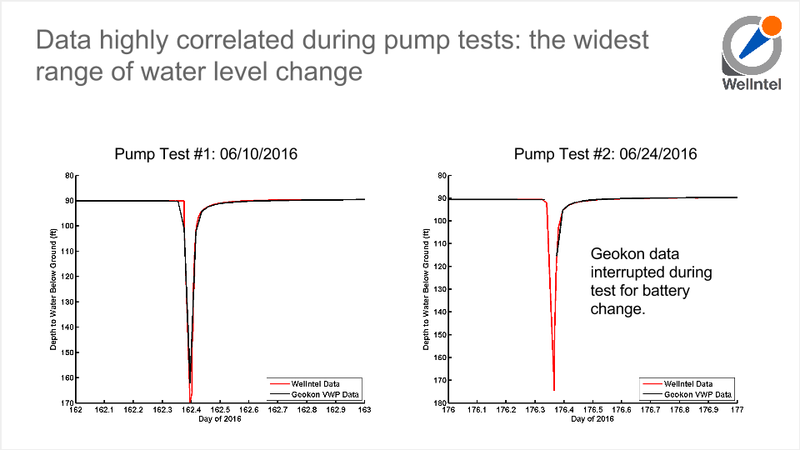 If you’re interested in setting up your own test, consider attending an upcoming Webinar to learn how. 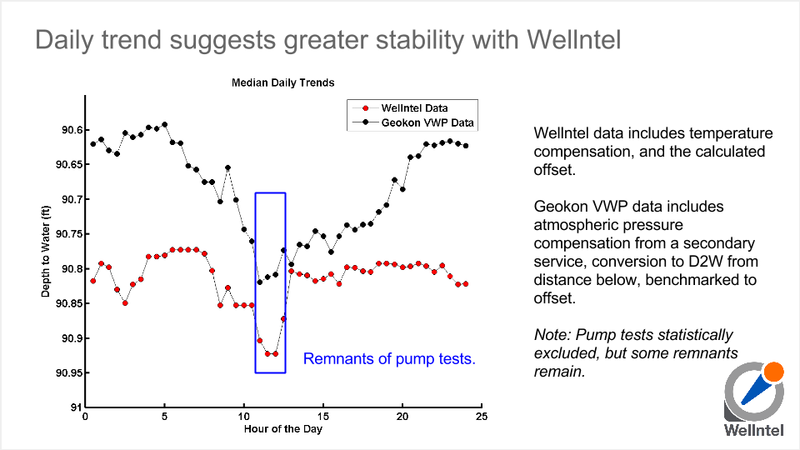 One such test, started in June ’16 and ongoing, is demonstrating how Wellntel can outperform on many dimensions: reading accuracy and consistency, simpler set-up, and lower up-front and ongoing costs. 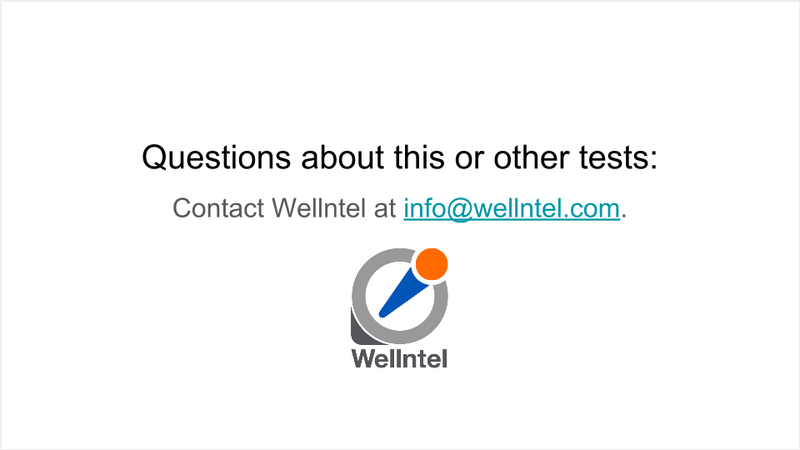 Moreover, this is the second test in which Wellntel helped the testers find inconsistency on their existing set-up and methods with the conventional equipment. 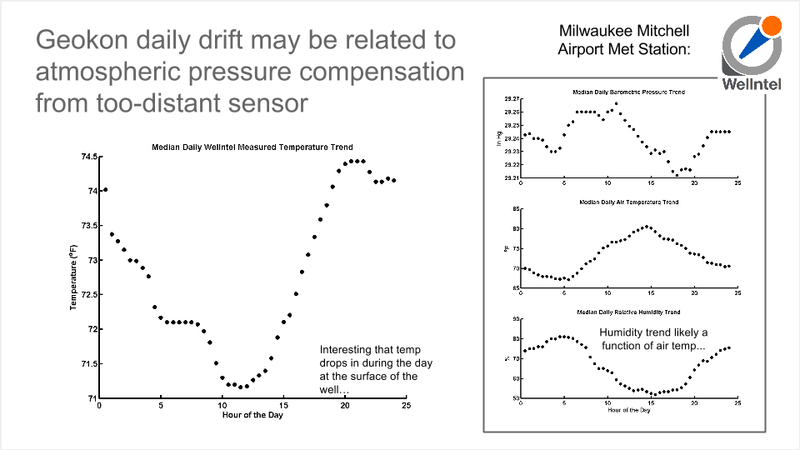 It turns out, a system that doesn’t touch water can outperform one that does. 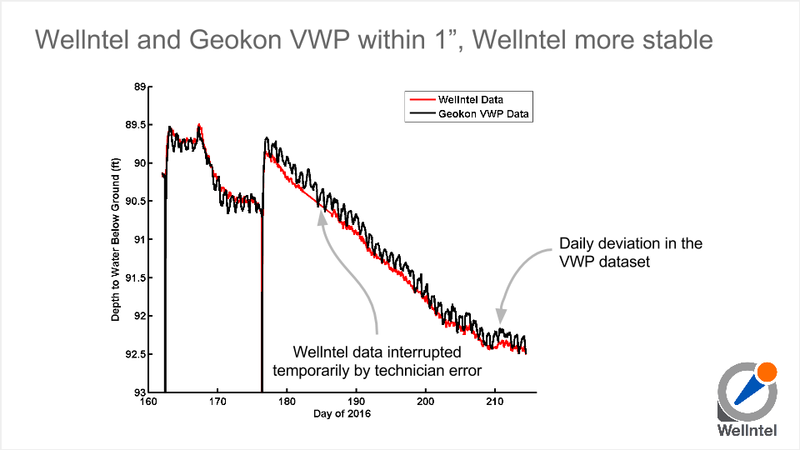 The median daily variation between the Wellntel and the Geokon VWP sensors was approximately 1 inch at 90 feet (.09%) with a daily deviation in the Geokon data driving this variance to a range of 0 to 2 inches. 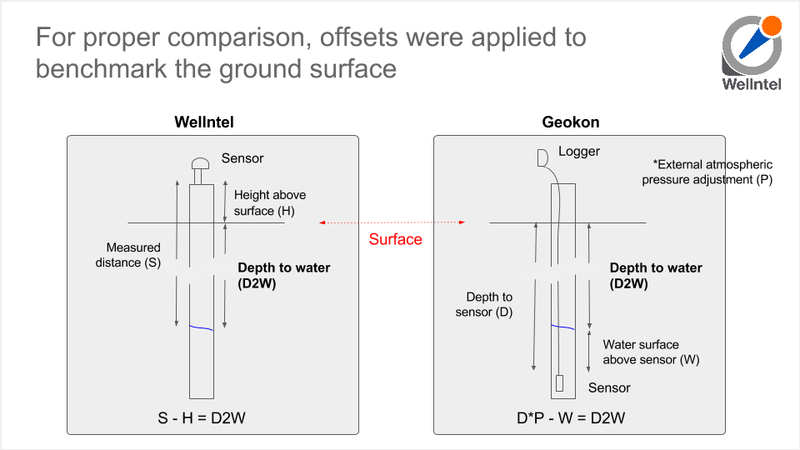 Wellntel showed negligible susceptibility to environmental factors and didn’t require external equipment and reference points. 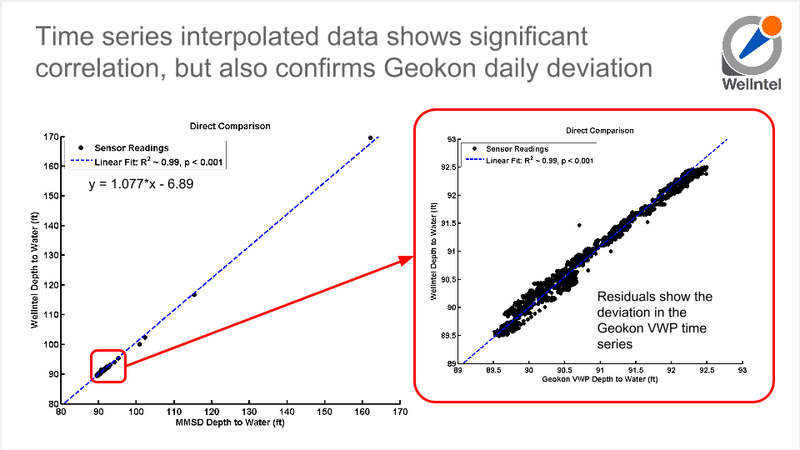 Lacking on-site references from additional instruments, the Geokon data deviated. 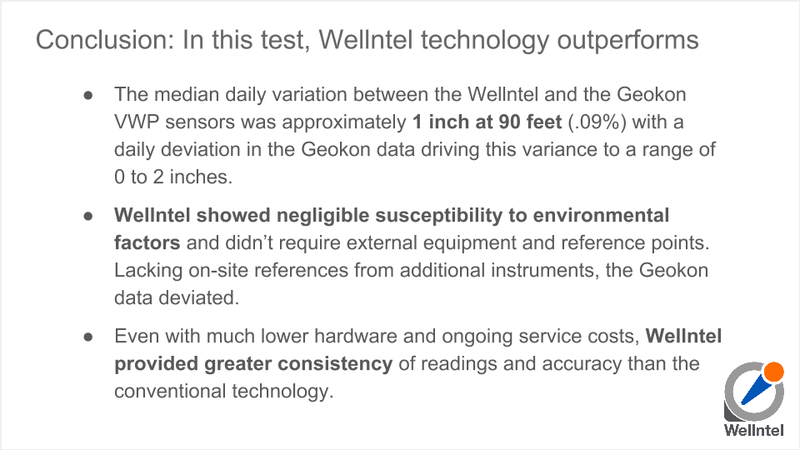 Even with much lower hardware and ongoing service costs, Wellntel provided greater consistency of readings and accuracy than the conventional technology.